Megan, forty-one, can’t shake the feeling that she caused her parents divorce because she had terrible behavior problems after her brother had a sudden death, when she was four and her brother was two. On the one hand, Megan knows that she was grieving for her brother, and that at such a tender age her grief manifested itself by terrible temper tantrums, but on the other hand, she believes that her tantrums caused so much stress in the house that her father left in order to be with his secretary who had no children. The logic of the situation is clear to Megan. The death of her brother led her father to grieve in his way, which was to withdraw from his family and seek refuge in another life. Megan’s understanding does not change her feeling of deep responsibility for her mother’s subsequent depression. Megan believes that if she was more cooperative during that tender time, then her parents would have stayed married and her mother would not have gotten depressed. “Maybe it helps to think that you could have done something to change the course of history. Maybe that is preferable to feeling completely helpless that your brother died, your parents divorced and then your mom was severely depressed,” I say, pointing out that feeling guilty is often a substitute for feeling helpless. “Yes, but that does not change the fact that I live my life, feeling terrible about myself and my behavior.” Megan says, explaining that in her mind, her low sense of herself all stems from this one extremely traumatic time in her life. “It is nice, in a way, to be able to consolidate your complicated self-image, down to one period of your long and extensive life, where you have done so many things, both good and bad. ” I say, reminding her that even though her brother’s death was a very significant time in her life, she has also done many other things, like get married, build a career, have her own children, which, if she can let those events into her mental interior, might also contribute to her sense of herself. “It is hard to keep the big picture, because I live in fear, knowing that life can change so suddenly. “Yes, managing that anxiety, which for you is so alive, is a particular challenge.” I say, reminding her that on some level all of us understand the uncertainty of life, but that for many of us, we are able to know that without letting that fact crack our core. “I know that I live in the past. I know that my brother died many decades ago. I know that it is particularly hard for me to find peace with that. You are the only person I can discuss this with, because I know that my husband, my friends and my family do not understand my anxieties.” Megan says, explaining to me that she feels alone with her feelings, in part, because she does not feel them to be legitimate. “It is hard to have feelings which go so far back in your life. It is hard for you to feel that is where you are right now.” I say, trying to help her accept where her mind is at. “Yea, I wish it made more sense to me,” Megan says with a heavy heart. “I want you to know we have a normal family,” Maureen says to me, as she admits her twelve-year old to the psychiatric hospital for serious substance abuse issues. I did not ask her about her family, so her comment made me pause. You mean, you feel very guilty, I wanted to say, but I did not have the history with Maureen which would have enabled me to speak my mind. “Parental guilt is overwhelming,” I say to my students, thinking about Maureen. “Parents feel guilty, generally speaking, no matter what happens to their children, and when this guilt is added on to things they really feel they did wrong, then they have guilt squared,” I say, trying to explain that a part of parental guilt is about understanding the enormous responsibility of another human being, whereas another part of guilt could be a knowing negligence when it comes to parenting. “When the guilt can come to the light of day, parents often feel uniquely understood,” I say to my students. “No one wants to talk to them about their guilt. Most well-meaning friends and family want to jump in and quickly reassure the mom that she did the best she could.” I say, emphasizing that the role of a mental health professional who works with children and families, is to demonstrate the understanding of the really difficult feelings which can bubble up during a mental health crises. Reassurance does not help because the parent often feels like their friends do not really understand how deeply bad they feel. Further, the loved ones often do not want to acknowledge the depth of the guilt because it can trigger in the listener their own sense of guilt towards their children. “The default assumption, until you get more information, is that the parent is feeling guilty when they see you.” I say to my students who are rookie child psychiatrists. “Probing for that guilt is the art of our profession,” I say, thinking to myself that in some ways, this is a lost art, but also hoping that maybe, I and many of my colleagues, are slowly bringing this art back to the field. “No one wants to feel guilty, but worse than that, no one wants to feel alone in their guilt.” I say, pointing out that feeling misunderstood is worse than feeling guilty. “Understanding guilt is tricky, because you need to empathize without agreeing or disagreeing with their own sense of negligence.” I say, emphasizing that understanding guilt is a challenge. “I hear you,” I respond to Maureen, acknowledging that I hear her statement about her family, but I am also hinting that I understand that there could be a subtext. Tomorrow, in my “Play Class” we will talk about Winnicott’s paper (1963) about emotional growth in “terms of the journey from dependence to independence”. In this essay he coins his famous phrase “primary maternal preoccupation,” the time in a mother’s life, third trimester pregnancy along with the first few months of infancy, where the mother can think of little else besides her baby. The significance of this concept is that a mother has the challenge to follow a parallel journey with her child; a journey which begins with a merger, and ends with separateness. This parenting process is hard because it is overwhelming to feel responsible for another human being, and then it is overwhelming again, to let go of that responsibility so that the child can develop his/her own ego. A mother/caretaker has to have the emotional sophistication to know when to be hovering and when to let go. This, the lay public might say, is a “mother’s instinct”. Winnicott teaches us that without a mature mother, a child is psychologically damaged because he/she does not have the opportunity for ego development, for coping skills. For example, if a mother is afraid of their child’s upset, then she might feed them continuously. If the child never gets hungry, then the child does not know how to cope with the need for self-care, possibly leading to an eating disorder. The process of development, of maturation, demands that the child experience frustration followed by gratification. Optimal frustration is the key to healthy growth, as the child learns that needs can be met with thought and patience. Without optimal frustration the child is vulnerable to feeling omnipotent, where every need is immediately met, and hence arrogance ensues. The proof of healthy development, Winnicott would say, is quality interpersonal relationships, where quality is defined by mutual satisfaction. In other words, the metric of good mental health, is socialization. The ability to cultivate relationships requires flexibility and compromise. This has to be learned in the tender developmental years, and then again, throughout life. Winnicott’s theory still holds true, fifty years later. Let’s see if my students feel the same way. Annie, fifty-one, begins psychotherapy because she feels it will make her a more compassionate primary care physician. She denies any pressing pain, and to the “why now” question, she says, “well, my kids are done with college. ” “You mean that you don’t feel guilty spending money on yourself now that you have educated your kids,” I respond, trying to tie the notion of starting therapy with her new financial phase of life. “Well, yes, you could say that,” Annie reluctantly agrees that she has put her financial life on hold in order to get her kids through school. I think to myself that she probably has also put her personal life on hold and so perhaps she enters into psychotherapy, partially to be a better physician, but more importantly to sort out her new life, now that her kids are carving out their own lives. Annie begins treatment talking about her patients, but after a few months, it becomes clear that she has deeper issues which concern her. “Coming here to talk about your patients gave you permission to enter into my office, but now that you have settled in, you are allowing yourself to explore deeper parts of your emotional interior.” I say, highlighting that, like a dream, the initial reason for psychotherapy is often a way in which the patient “fools himself” into a therapeutic relationship. This is like a dream, since when one discusses a dream, the implication is that logic does not have to be at play. “It’s only a dream,” means that I know this does not make sense, but I want to talk about it. Likewise, Annie’s stated purpose to help her patients, is a way of saying that she needs help with her emotional pain, but she has to enter with a different initial contract, in order for her judgmental side, her superego, to allow her to begin treatment. This phenomena, labeled “reversible perspective” by Bion, is what I call the “back door into treatment”. The therapeutic contract changes slowly, as the patient feels more trusting of herself and of me. The relationship becomes solid, so the work of the “mid-phase” begins. As I conclude my class on the “mid-phase” I will miss discussing the theoretical underpinnings of this process. Ending a class, in this case my “midphase class” is like ending a good book. I find it sad to finish. Thanksgiving weekend, a time for family, relaxation, good food and low stress, maybe. Crystal, fifty-eight, worked hard putting an elaborate meal together, to which her husband, whom she loves, but is frustrated with, said to his brother “Crystal does not even know the difference between the various kinds of mushrooms she used in the stuffing.” It was an off-hand comment, which Crystal could have ignored, but it hit her hard. “Where was the gratitude?” she asked me. “I just felt so humiliated,” she continued. “I confronted my husband, in private, and he apologized, but I still felt knocked over,” Crystal says with a tone of resignation and hopelessness. “The next day he was sweet to me, but I still felt injured,” Crystal confided. “I can see that if you were hoping for appreciation, but instead heard criticism, that you would be offended.” I say, pointing out that her feelings seemed linear. “People tend to humiliate others when they themselves feel small.” I say, pointing out that the use of humiliation is often revealing of character issues. “Yea, but that does not help me. I know my husband has self-esteem issues, but I wish he would keep them to himself,” Crystal says, understanding my point, but reminding me that it does not help her feel better in the moment. “It is a little thing and a big thing at the same time. It represents how my husband is clueless about how to make me feel good.” Crystal says with despair. “I can see that,” I say. “Maybe you have to remind him of that.” I say with a strong directive. “Now that helps me feel better. I can do something about that,” Crystal says with a sense of empowerment. Trina, fifty-six, a physical therapist in private practice for twenty-two years does not understand how her business works. She has great referral sources, but the flow of her practice changes “wildly,” she says. “Sometimes I have no time to myself, whereas other times I think I am going out of business,” she says, with palpable anxiety and uncertainty about her future. “I have many colleagues and they have the same experience, except for them, they make these false attributions, like blaming the economy.” Trina says, explaining that her perspective is that her business plods along at a rate which is not simply explained by market forces. “There is no way to get a handle on the supply and demand aspect of what I do,” she says, with a sound of frustration that she cannot control her world. “Well, let’s assume it is unknowable, what does this mean to you?” I ask, wondering how she manages this anxiety. “It means to me that I have to understand that my business is vulnerable in a way that I may never fully comprehend.” Trina says with resignation. “When you hear your colleagues talking about how the economy is hitting their practice and you don’t see it that way, how do you cope with that?” I ask, wondering about how she deals with not finding colleagues who share her point of view. “First, I think they are saying that to make themselves feel better. Maybe their practice is down because someone is guiding them to someone who they feel is doing a better job. That is always a possibility. It is hard to go down that road. It is hard not to take it personally and feel that a low practice is secondary to poor work, so it is comforting to know that the force is external instead of internal. No one ever says that their practice is down because they are not good at what they do, but I am sure many people feel that. We, in private practice, get so vulnerable because training programs that offer additional certification can seduce us into believing that if we just could use one more machine then our practice would flourish. Of course, that may be true, but it may also be a way for these training programs to make more money. It is so hard to know. Other people feel the key to building a practice is marketing, so they spend a lot of time and energy trying to package their practice, but it is not possible to know if that is helpful, or the tides are turning on their own. You cannot do a randomized control trial to see what the key ingredients to building a practice. I think this is why a lot of physical therapy students are looking at a place like Kaiser, where there are no business worries. I could not do that because then I would have a boss, and you know me enough to know, that as much as I hate thinking about how vulnerable I am, I also do not like the idea of working for someone else.” Trina explains to me why she copes with this uncertainty. “So, living with the unknowable in private practice seems better than living with the knowable of having a boss while being employed.” I say, articulating her dilemma. “That is exactly right. Life is unknowable. This is just one more thing,” Trina says poetically. Betsy, age ten, a patient of mine since she was six years old, comes into my office with her mom, Gloria. Betsy and I play catch and talk about her summer. She tells me about the books she is reading, her friends, shesays that she hates camp, and she is nervous about going back to school next month. Given Betsy’s long history of anxiety, poor eye contact, poor social relationships, poor behavior at school, I am pleased at our relaxed interchange. The appointment winds up with our usual routine. Gloria and I make the next appointment. 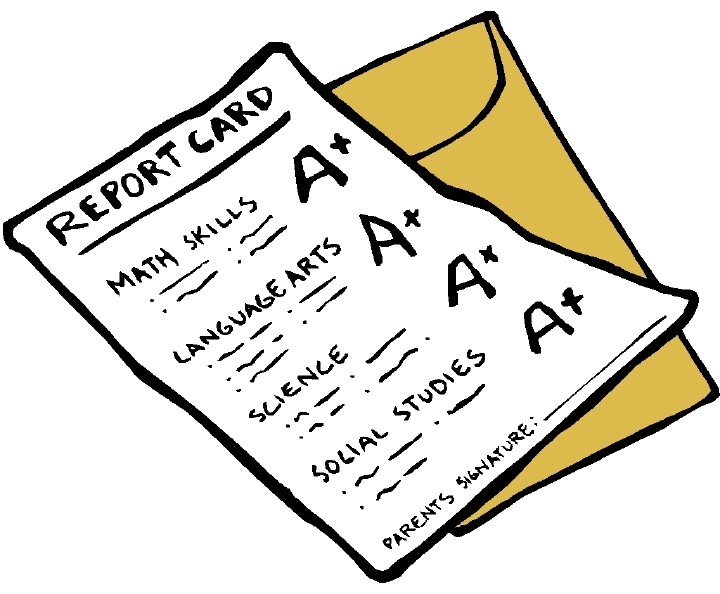 Gloria reaches into her purse, and says “here is Betsy’s report card. It is really good.” Gloria has handed me Betsy’s report cards for years, but this is the first time she announced it in front of Betsy. Dramatically, Betsy became irritable, angry, and rude. She grabbed the envelope out of my hand and said “this is none of your business.” Gloria says, “Betsy, I have given her report cards for years.” Betsy gets more upset. “She is not related to me, so she should not see my report card,” Betsy screams. Gloria responds “but it is a really good report card, what is the problem?” “It is just none of her business,” Betsy screams louder. “Just pay her and let’s go,” Betsy says. Why did Betsy get so mad about me seeing her report card? I speculated to myself that this is an issue of intimacy. Betsy and I, although we have known each other for many years, is not comfortable sharing herself with me in that way. As such, she felt violated that her mom exposed a part of herself, her report card, that she was not ready to share. I understood Betsy’s discomfort and I felt bad that I was a party to it. At the same time, at the time of the interaction, I was surprised by her strong reaction. Betsy’s sensitivity helped me understand her relationships. She enjoys interacting with others, but she is also afraid that getting too close to people could result in painful humiliation. Even though her report card was good, she seemed afraid that my reaction would make her feel bad. Betsy’s anger might have protected her from having to suffer from my unsatisfactory response to her school evaluation. In another context, Betsy might be seen as bipolar, or quick to anger, but had this happened, Betsy would have been misunderstood. Her hair-trigger response was not a “manic” experience; rather it was a response which protected her ego. In the end, Gloria and I felt sad that Betsy was so upset; it was a hard learning experience. Diagnosis, particularly psychiatric diagnoses, are history based. We have no objective tests. We have no imaging studies. We need to listen, pay attention, gather a history, and pursue collateral information. Yes, you have known me to say this for a very long time. Now, I will tell a fictional story which illustrates my point, since the fire in me pushes me to say it again. Diedre is a 70 year-old longstanding patient who has a long family history of mental illness. Her mother was bipolar. Her father had issues with alcohol. Her mother’s mother also had bipolar illness. Both her mother and her maternal grandmother had a history of long stays in psychiatric hospitals. Diedre, although high-functioning, has, what seems to be a more mild version of her mother’s illness. She does have a history of psychiatric hospitalization, but her mental illness manifests more in paranoia than in mood swings. She has long periods of time where she is quite agitated that institutions, such as the police department, want to hurt her. As a result, I have her on an antipsychotic medication, which, as she reports, makes her “much calmer”. Diedre also has a severe alcohol and prescription drug abuse problem, which she denied for many years, but she knew that I knew that this was an issue. Over a long holiday weekend, her drinking caused a change in mental status, leading to her boyfriend calling 911, and then a subsequent psychiatric hospitalization for delirium. The psychiatric team took her off her medications and she detoxed in the hospital. Although the patient told the team to talk to me, that communication never happened, so even as her mental state cleared, where she returned to her baseline paranoid ideation, the team did not re-start her antipsychotic. Instead, they interpreted her mental state as the beginnings of dementia. They administered one test of functioning, which, by her report, she was too paranoid to cooperate with the questions, so she “failed” the test and was diagnosed with dementia. This resulted in a report to the DMV stating that she was unsafe to drive. This also resulted in them insisting that she transition to a skilled nursing facility, at the cost of many thousands of dollars out of pocket, since the team did not feel she was safe to go home. When she was discharged she returned to me. I told her to re-start her antipsychotic, to return to her previous living situation, and to get private cognitive testing in order to have documentation for the DMV. As expected, she has no evidence of dementia, and although the hospitalization was very helpful in starting her on a sober life, the increase in paranoia was tragic to observe. Histories take a long time to understand. Quick diagnoses are not only wrong, they are harmful. There is a fire in my belly. “You can’t come home for Thanksgiving,” Troy tells his twenty-nine year old daughter, Tina. “I just can’t afford to pay for your trip,” he continues. 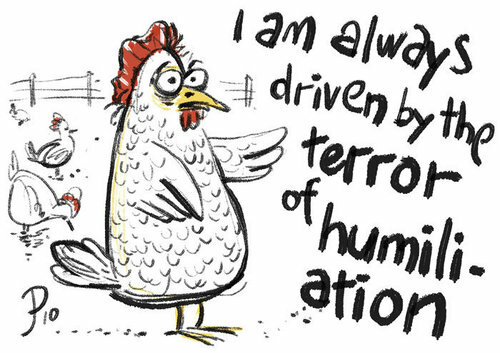 At first, Tina has no emotional response. She does not feel disappointment, anger or resentment. She knows her dad can afford to pay for her trip and she knows that he is punishing her for not being financially independent. Yet, she accepts that she can’t go home for the holidays, with apparent ease. As time marches on, she is drinking more alcohol, and she is thinking about quitting her job. She has lost motivation for self-care. She is depressed. “Maybe it is related to the conversation with your dad. Maybe this is like nuclear fallout,” I say, highlighting that some interchanges have long-lasting emotional ramifications. “I did not think of that,” Tina says. “I am just thinking about how much I hate my job,” Tina continues. “Maybe you hate your job, particularly right now, because your dad is angry with you that you cannot afford to pay for your own trip home. Maybe this makes you feel like your work is futile,” I say, trying to connect her lack of reaction to her dad’s comment to her sudden wish to self-sabotage. “Yea, I can see that,” Tina says in a soft way. “I have a hard time feeling hurt from my dad, but I am hurt. I can see that now.” Tina says, with some acceptance that her internal world was injured during that conversation with her dad. “Nuclear fallout can last a long time,” I say. “Yea, I don’t want to think about that,” Tina replies with a smile.